Any time of year is a great time for Prime Rib, but during the holidays and the cold early evenings of winter seem especially appropriate for a delicious slab of this scrumptious roast. 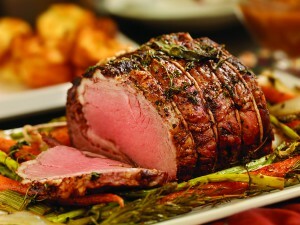 What is your favorite way to cook a prime rib? There are a few different options, but an easy one to try is referred to by many as “Method X“. Give it a try and let us know how it turned out! Another version of this method can be found here.